Vitamins are compounds that your body needs to function and grow normally, as well as to repair itself and recover from illnesses. They are essential to keep your body working properly. The body can’t produce these compounds itself, so they must be consumed through the intake, usually through foods and drinks. The average person with a balanced diet usually gets about the right amounts of most vitamins, but if you feel down in a particular way it can be an indication that your body is short of a certain vitamin. So it’s important to know the use of each vitamin. 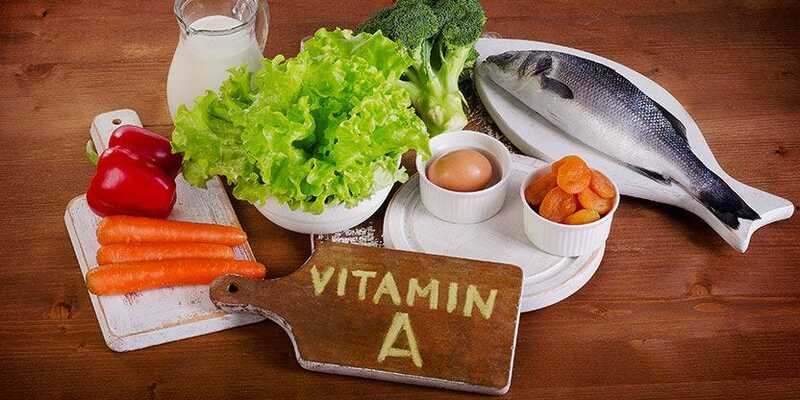 Vitamin A: Supports the immune system and maintains skin. Sources: Eggs, oily fish, cheese and dairy products. Thiamin, Riboflavin, and Niacin (B1, B2, and B3): Release energy from food. Keeps the nervous system and skin healthy. Sources: Meat, fish, cereals, eggs, and fruit. Pantothenic acid: Breaks down food. Sources: Virtually all meats and vegetables. Vitamin B6: Allows the body to store energy from protein and carbohydrates. Helps the blood to carry oxygen around the body. Sources: Meat, poultry, fish, cereals, vegetables. Biotin B7: Needed to metabolize fat. Sources: Present in all foods. Folic acid and vitamin B12: Help in building healthy blood cells and keep the nervous system healthy. Sources: Meat, fish, dairy and green vegetables. Vitamin C: Promotes cell health, supports the body structure and aids in healing. Sources: Brightly colored fruit and vegetables, such as oranges, strawberries, blackcurrants, red and green peppers as well as potatoes. Vitamin D: Keeps bones, teeth, and muscles healthy. Sources: Red meat, oily fish, liver and egg yolks. Vitamin E: Strengthens the immune system. Maintains the skin and eyes. Protects cell membranes. Sources: Nuts, seeds and some cereals. Vitamin K: Needed for blood clotting and healing as well as keeping bones healthy. Sources: Leafy green vegetables, vegetable oil, and cereals.